Drupal, the widely used open source content management system, written in PHP is recognized as the best CMS to develop your website. Responsive, Scalable and Robust CMS built with a lot of functionality, best suits to develop dynamic websites. Has option to create multi sites and manage across your organization. Drupal has many add-on modules for additional features. You can easily create and edit the contents of your websites. You can create your own e-Commerce online stores using Ubecart modules. 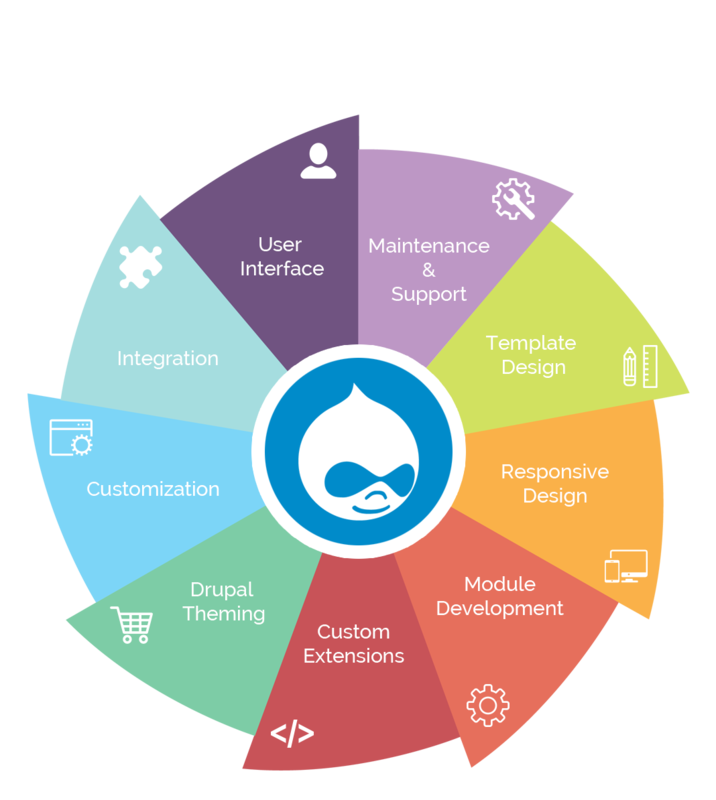 ShareSoft Technology provides Drupal development services at various levels tailored as per your business needs. Our expertise in Drupal development solutions and experience in successful completion of small to complex projects says it all for providing high quality Drupal websites. Our Drupal experts follow the best practices and ensure delivering an effective, secured Drupal solution for all industries. Have an idea of building a Drupal website? Let’s talk and explore the opportunities that suit your project requirements. Need any consulting services for your Drupal CMS.? Yes, we do that here. Contact us for any requirements on the Drupal platform. Just post your query, we will get back to you on that and discuss the engagement models.